Happy Christmas to all. This is my first post on Sotawatch. Im not actually a hill-walker, in the SOTA sense of the term (not yet anyway) but I am interested in backpacking with a radio and field deployment. I am new to the amateur radio hobby, having only just acquired the UK M3 license. I’m now studying for the Intermediate license. I am putting together a ligtweight back-packing kit, ready for next Spring, and wondered if someone could help me decide between two transceivers: the IC-703 and the FT-817. I initially decided on the FT817, but then realised the IC-703 has a built-in ATU and twice the output power. However, it lacks the 2m band. So I’m currenly undecided. I’m not sure if I’d miss the 2m band. I have a small lightweight handheld that covers 2m, should I ever realise a need for it. So perhaps I’d be better off with the IC-703. But perhaps some of you know of other deciding factors I should consider. If so, could you point them out? Is the 2527m band used much in this branch of the hobby? How about 160m? (I’m thinking low-power to reduce battery drain). Welcome to Amateur radio and this group! For portable/backpacking use the FT817 would probably be your best bet overall and the lowest drain on your batteries. It is also very popular with portable operators and covers the main Ham bands and is lighter in weight. If you were planning to operate mostly from home then the IC-703 would perhaps be the better choice with the higher power output and internal ATU. With the FT817 you would have to use resonant antennas, unless you use a small manual ATU or automatic ATU like the Elecraft T1 which is ideal with the FT817 which will allow you to operate on more than one band with the same antenna (doublet/long wire). There are many in this group with more experienced with these radios so I’m sure you’ll get plenty of good advice. Welcome to amateur radio and to the sota group. The FT-817 is a superb piece of equipment for portable use and covers the hf bands plus 2m and 70cms bands. It also offers fm ssb and cw complete with a built in electronic keyer. It draws very little current on receive and only about 2 amps in transmit mode with 5w output, so will easily run from an external 3ah sealed lead acid battery and has the added benefit of an internal nimah battery pack. These antennas are normally erected on a fibre glass telescopic fishing pole, check for more pictures on the photo link at the top of this page. I use both the 817 and 857 on the hills/mountains and take my pick depending on the hill/mountain as to which I take with me on the day. All too many people also ignore 2m but 2m ssb is a great place to work, you have to remember on a hill or mountain VHF performs well. All my hill/mountain radio work is on 2m ssb and I have no reason to fault it. It’s easy to use a beam, whip or a halo all of which are light and easy to set up on 2m. My initial interests were 2m FM, 10m SSB (mobile) and SWLing the HF broadcast bands. So I got an FT-817. With my interests developing to include 2m SSB, 2m CW and HF CW, and the occasional bit of 6m (all mode), the FT-817 has proven to be a fine investment. For five years, it “trebled” as the shack base radio too. Now it has returned to switching between being the mobile and the portable rig. Brilliant radio, and very light. For most years, I have simply used it with its internal NiMH battery, recharging in the car between activation days, although I have more recently added a SLAB to the kit. When I started activating every day, it wasn’t getting enough time to recharge! I have never really needed the extra power of an FT-857. OK, I have failed to make my 5 watts heard on 40m SSB sometimes, but my solution to this has been to try VHF instead, or more recently learn CW - in which case 5 watts is more than enough on HF. I love my 817, and would be happy to recommend it. Hi, Alan. I, too, would suggest the FT817, the extra power of the IC703 will give about half an S point advantage, but it is bigger, heavier, takes more current and lacks both 2m and 70 cm. If you get the 817, buy a set of 2500 mAh NiMH batteries for the battery box that comes with the rig, and cut and insulate the green wire from the box which then will enable you to use the charger. This will give you about two hours operating time before you need to put fresh batteries in. Its a great rig! Hi Mike, Thanks for posting details of that neat lightweight antenna solution. (And thanks to John GW4BVE for sharing it.) It looks like it would lend itself to being strung between two trees, which would suit me well. Thanks also to the other respondees regarding the choice between the IC703 and the FT817. You all seem united on that one, so that makes choosing easier! Hopefully I’ll pick one up in the New Year sales somewhere. I’ll buy new, so that I get the 2-yr guarantee. The antenna is mounted on a telescopic fishing pole, I buy mine on the link below and use the 7 metre version model number 1056 700 at the bottom of the page. The ends of the antenna are usually pegged to the ground, or better still tied to your walking poles, this keeps the ends of the dipole well off the floor, so no trees or any other type of support is required. Think you’ve made the right decision, good luck with the '817 when you get it! Don’t underestimate the importance of getting the ends of your dipole off the ground. Try and trim it with the ends at least 1.5m off the ground, and aim for a minimum of 1.2m when operating, below this you’ll find the SWR increases dramatically and becomes more prone to variation with movements of the antenna/pole. Good luck on the hills and look forward to working you! Enjoy the rest of Christmas day! variation with movements of the antenna/pole. Thank you for the tip. I’ve heard people mention getting great results from dipoles close to the ground, so perhaps there is an optimum distance as well as a minimum? Whichever transceiver I go for, I will want to use it for both home and portable use. That’s another reason why I’m interested in the IC-703. When using a 703 as a portable, I presume you can run it at low wattage to conserve batteries. But yes, the weight is an important factor, so perhaps I’ll go for the 817.
depending on the hill/mountain as to which I take with me on the day. work, you have to remember on a hill or mountain VHF performs well. Provided there isn’t an even bigger mountain in the way, yes? What sort of range do you achieve, and using what power? light and easy to set up on 2m. Yes, that seems like a point well worth considering - thanks. It will perform better strung between 2 trees especially if it is flat top. 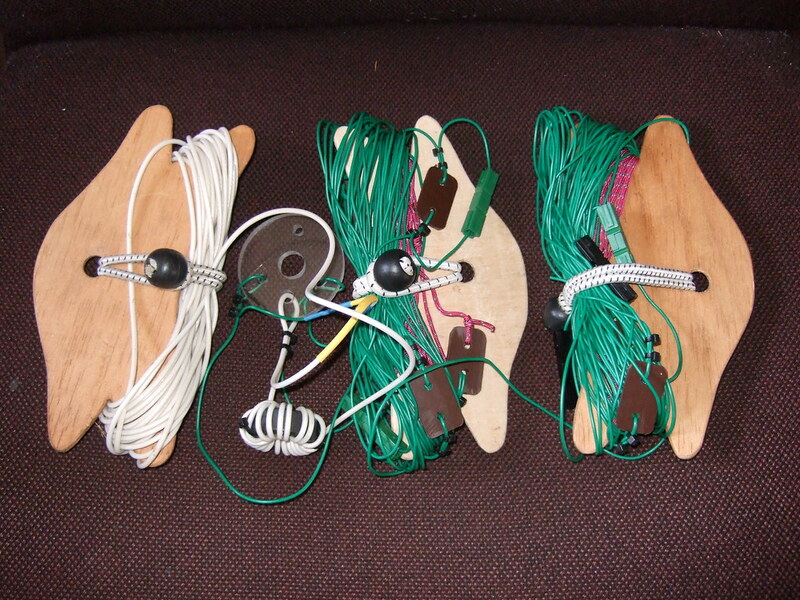 Can anyone recommend the ideal kind of wire to use for the legs of the dipole? Since weight is a consideration, I suppose as thin as you can go without risk of breakage, yes? Is multi-strand jOK? 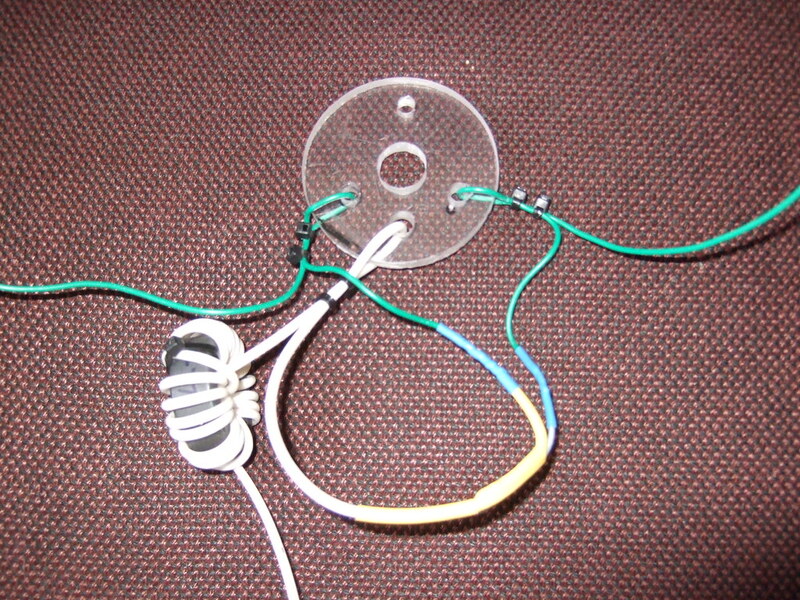 I have a linked dipole using this wire and it has been working fine for several years. If your ever in a French diy store, look out for plastic tile spacers (MEJIX), these make excellent insulators for the linked dipole (and a million other antenna uses). Unfortunately I have never found them in the UK and the ones sold here tend to be made from a brittle plastic. http://torberry.co.uk/ is a great place to purchase powerpole connectors. Cheap, Fast delivery and they have different colours, and boots etc. 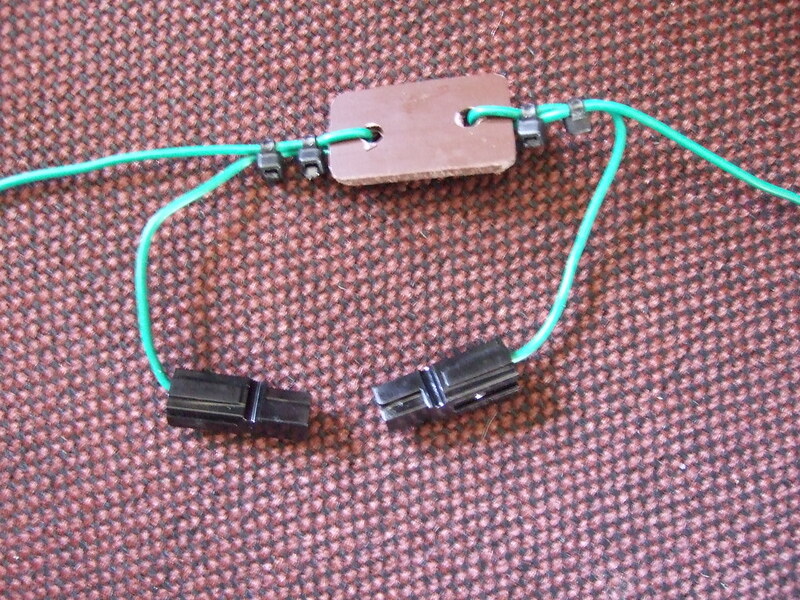 Another option for the connectors is automotive bullet connectors (soldered). My preference is multi-stranded equipment wire 16/0.2 Maplin part no. Hi Nigel. Excellent. Thank you for the specific suggestion. the UK and the ones sold here tend to be made from a brittle plastic. Wonderful; thank you for the specific recommendations and suppliers! I will go ahead and order the materials now, as this antenna looks so well-suited to my needs. I was slightly curious that the dipole is effective without a balun, as I was taught that a balun was ‘necessary’ with a dipole fed with coax. But, hey, it obviously works, and that’s all that matters! Do you happen to know the impedance of the antenna? Can it be safely plugged straight into an FT-817? Assuming its used as an inverted V, then its going to be a good match to your radio. When you add or remove the links, you are modifiying the electrical antenna length so that it becomes resonant on a particular band. You do need to prune each band, and not rely on copying the measurements, different wire will require different lengths. I would try and get hold of an antenna analyser, it makes life a lot easier. You can add as many bands as you like, just add more links, the trade off is increased complexity and a potential decrease in reliability. When your pruning, initially just fold the wires back and tape them rather than cutting, when you get close to resonance you can start cutting the excess off. This hopefully prevents cutting off too much wire. 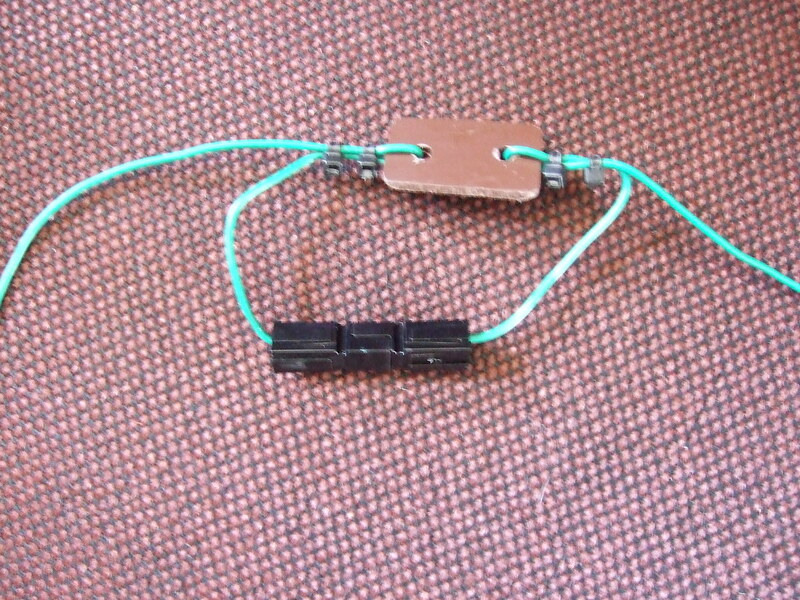 The balun reduces feeder shield current. The antenna will work fine without it. The main benefit of the balun for portable operation is that the antenna will be more forgiving when installed in a variety of Locations/Heights/Configurations. Welcome to both amateur radio and SOTA Alan. However, there is no need to spend so much. Maplin are a fantastically overpriced retailer with marginal stock at the best of time. I would recommend you have a look at ESR Components instead. ( http://www.esr.co.uk ) I have used them for many years now having put many hundreds of pounds of business their way and they have never let me down. You want catalogue no. 055-114. That is yellow. Yellow wire stands out against white snow, purple heather, green grass and rock. It stands out against a blue, grey or white sky too. So a suitable reel of cable would be about £6.20 from ESR including shipping and VAT compared to £6.99 for Maplin PLUS shipping. At the same time, you will probably find all the other components you need to make up power harnesses and antennas and all the gizmos you will end up carrying. And you’ll pay between a fifth to a half of Maplin’s prices. You don’t need to use Powerpoles, any connector that is simple to work wearing gloves will do. There’s nothing wrong with that wire from Maplin, just you can save yourself a whole ruck of money and half the weight using this wire. which even with jpg compression shows how thin yellow wire stands out against the backgrounds. You use your walking poles to get the ends about 1m AGL. At the top of the antenna you can see the choke balun (6 turns of coax about 12cm in diameter). You trim the ends of the dipole symetrically until the SWR is acceptable. Mine is trimmed for best match at 5.3985MHz, 7.090MHz and 3.725MHz. I agree 7/0.2 is good and will save you 80g in weight. My recommendation for 16/0.2 is because it happened to fit through the tile spacers that I mentioned, without slipping, 7/0.2 was too thin for this.